ESSEX — Essex Savings Bank has announced the addition of David Zuckerbraun as a Vice President and Trust Officer. “We are delighted that Mr. Zuckerbraun has joined us as Vice President & Trust Officer and will be working under the leadership of Ms. Moira Martin, Senior Vice President, Senior Trust Officer. His reputation, depth of experience and involvement in the community will be an asset for our Trust Department and will expand our strong focus on exceptional levels of client service,” stated Gregory R. Shook, President & CEO of Essex Savings Bank. Zuckerbraun joins the Essex Savings Bank Trust Department after 21 years of service with The Washington Trust Company, most recently as Vice President, Senior Fiduciary Officer. His responsibilities included managing large and complex trust relationships, the settlements of complex estates, the management of departmental risk through document review, litigation oversight and assistance in the development of fiduciary policies and procedures carried out and followed by trust administration staff. Prior to his time at Washington Trust, he was a practicing attorney for more than 10 years. Zuckerbraun received his B.A. from Union College and his J.D. from the Syracuse University College of Law. 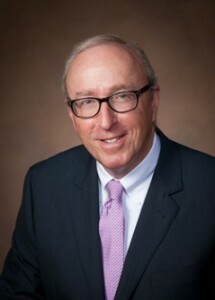 He is the past president of both the Rhode Island Estate Planning Council and the Estate Planning Council of Southeastern Connecticut. He has also served as chairman of the James and Mary Shea Foundation, president of the Lyman Allyn Art Museum, treasurer of the Community Foundation of Eastern Connecticut, treasurer of the Eastern Connecticut Symphony Orchestra, and Vice President of the Denison Pequotsepos Nature Center. Essex Savings Bank offers a full complement of trust services including trust and wealth management, estate administration and settlement, charitable trusts and private foundations, and custodian and escrow services. Trust officers are always available to meet for a no-obligation consultation.